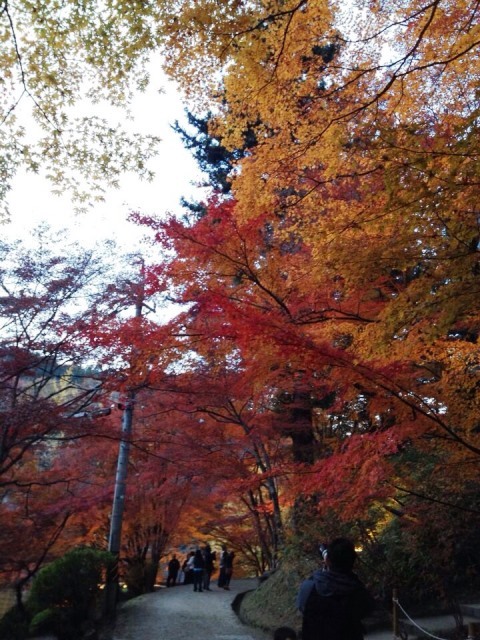 My sister and her husband went to Korankei Park in Toyota, Aichi Prefecture in Japan and sent me the beautiful photos below. I think they're fortunate enough to witness autumn leaves of various colors. It is during this season when trees decide to naturally display their fiery side before their leaves die in winter.